The good news is that the world is becoming more affluent. The good and bad news is that increasing numbers of people are opting to spend their new-found wealth on travel. Worldwide, more than 1.3 billion people travel internationally annually, up from 500 million trips in 1995. According to the Brookings Institution, “By our calculations, just over 50 percent of the world’s population, or some 3.8 billion people, live in households with enough discretionary expenditure to be considered middle class or rich.” Additionally, “the rate of increase of the middle class, in absolute numbers, is approaching its all-time peak. Already, about 140 million are joining the middle class annually and this number could rise to 170 million (per year) in five years’ time. That explosion is a double-edged sword. If greater wealth leads to a growing ability to travel, then, in theory, more places could benefit economically from tourism. The trouble, however, is that the tourism expansion happens to be highly concentrated. According to Euromonitor International, 46 percent of all travelers go to just 100 destinations. This clustering of international travelers in a handful of countries is likely to continue. By 2020, Euromonitor projects the top 20 countries in its study will see an additional 121 million arrivals, while the remaining 59 countries will receive around 72 million arrivals. If those new tourists were distributed throughout various regions of the top countries, this might not be a problem. But many first-time globetrotters want to see the highlights—the Mona Lisa in Paris, the Ginza in Tokyo, the canals of Venice—meaning the preponderance of new travelers are treading familiar and crowded tourism routes. In addition to an emerging middle class, other factors contributing to the recent exponential growth in international tourism include demographic shifts (those millennials love spending their money on experiences), the awareness of new emerging travel markets, convenience and improved connectivity, and travel options designed to fit a wide range of budgets. Again, while all of these factors democratize travel, which is good, they can also contribute to the growing problem of overtourism. We’ve been hearing the term overtourism a great deal during the past two years. Headlines about its dangers are everywhere, from CNN to Condé Nast Traveler to Skift, a global travel intelligence company. An August 2016 Skift thought piece on the impact of too much tourism spurred the wave of awareness of the problem. By the end of 2017, the WTTC and McKinsey & Company had published “Coping with Success: Managing Overcrowding in Tourism Destinations.” The report studies how overcrowding threatens the world’s natural and cultural wonders. By 2018, the Oxford Dictionary had put overtourism on its annual “Word of the Year” list. Throngs of visitors take photos and coveted selfies of Leonardo DaVinci’s famous “Mona Lisa,” considered the most visited work of art in the world. The explosion of tourists to highly publicized destinations threaten their environmental, social and aesthetic qualities. Overtourism is one of the most pressing issues impacting the travel and tourism industry today. This is especially the case in Europe, where the phenomenon is most acute. One of the challenges in defining overtourism is that its symptoms vary across destinations. In cities, too many tourists can alienate residents and overtax local infrastructure. In UNESCO World Heritage sites like Machu Picchu and Angkor Wat, mass tourism leads to litter-filled landscapes, threatening the spiritual, cultural and physical integrity of sacred places. On the beaches of Thailand and the Philippines and Spain, overtourism damages the environment and degrades the visitor experience. On Easter Island; in Bagan, Myanmar; and in San Miguel de Allende, Mexico, hordes of tourists pose threats to local heritage and culture. Regardless of the symptoms, the common denominator is a negative outcome—whether on the environment, on the local residents, on the culture, or on the tourism experience. 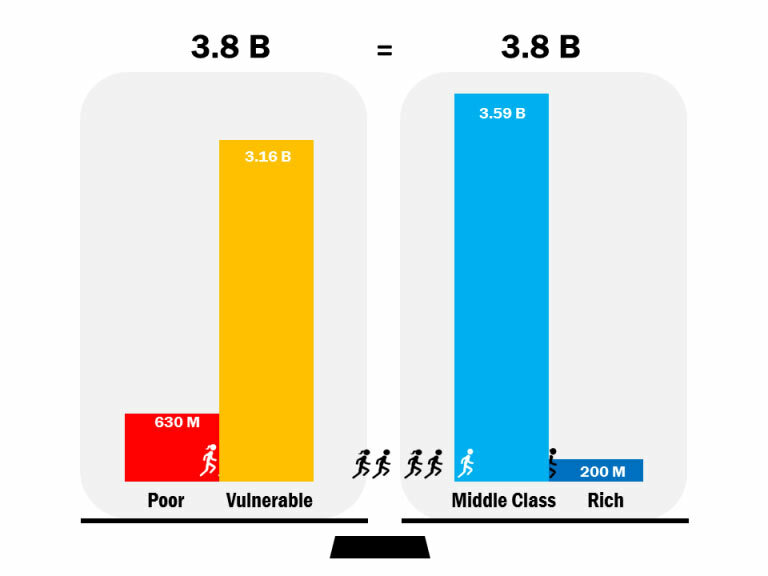 According to the Brookings Institution, just over 50 percent of the world’s population, or some 3.8 billion people, live in households with enough discretionary expenditure to be considered middle class or rich. Overtourism isn’t necessarily equivalent to overcrowding. Places affected include remote islands and national parks. Even small numbers of visitors to these delicate ecosystems can result in large negative impacts in terms of pollution, overuse of natural resources, and harm to wildlife. For example, in both Thailand and the Philippines, some islands have been closed to tourists in order to alleviate harm to landscapes and coral reefs. The New Zealand government has limited full-trail hikers of The Milford Track—a 33-mile trail that winds through the South Island’s mountains and rainforests—to 90 per day during peak season. In 2018, the prefecture of Haute-Savoie in France started limiting the numbers of daily climbers on Mont Blanc. Certainly, the quality of life issues associated with overtourism make it more relatable to the average person. Rising rents in urban areas, pollution, overcrowded public transportation and noise are all experiences that the average city dweller can understand. Can wellness tourism prove to be the antidote that eases the ills of overtourism? Experts say diversifying the tourism product helps relieve pressure on natural and cultural resources and achieves a more equitable distribution of tourism benefits for residents. Certainly, wellness assets provide a path toward diversification and distribution. The wellness community is largely ahead of the curve in having its collective consciousness awakened to the possibilities of making more ethical choices. Wellness pilgrims are realizing that the health of the places they are visiting, and their impact upon that health, is an important consideration when seeking venues aligning with their ideals of wellness and sustainability. Additionally, by nature, wellness travelers often venture to destinations far off the crowded, beaten path. Many holistic wellness journeys require travelers to connect with destinations through nature and local traditions. “When you have local healing or medical traditions, spiritual and other practices, it makes the whole experience more authentic,” according to Ophelia Yeung, senior research fellow at the Global Wellness Institute. Tourism professionals must seize on the interest of wellness travelers seeking alternative destinations that provide hyper-local, transformational experiences. Tourism boards need to shift their focus from promotion to planning and management challenges in order to spread these visitors to alternative areas. Those destinations with a clear, long-term vision are the most likely to achieve sustainable growth and mitigate—or prevent—overcrowding. According to the McKinsey/WTTC report, destinations should opt “to be selective about the tourists they attract, focusing more on the value of tourism rather than the number of visitors. These tourism authorities want to attract ‘good tourists,’ defined as those who respect the destination and contribute to the local economy.” Wellness tourists certainly fall into that category. National tourism bodies are taking notice of the wellness market. They are realizing that a focus on wellness can be a smart strategy for reducing the effects of overtourism while distributing the benefits of economic development across a country. Here are some of the reactive and proactive government initiatives aimed at combating overtourism through wellness. Dubrovnik, Croatia is oft-cited as ground zero of the overtourism phenomenon. In 2016 alone, the city’s walled old town, which is home to just over 1,000 people, hosted one million tourists, 800,000 of whom were cruise ship passengers (who spend significantly less money than overnight visitors). Eighty-five percent of all visitors to Croatia come to Dubrovnik, and most of those visits happen during the summer season. According to the Croatian National Tourist Board (CNTB), the country has been keen on “the adoption of decisions in the area of wellness tourism” as encompassed in the Tourism Development Strategy of the Republic of Croatia and the Action Plan for the Development of Health Tourism in Croatia, both of which were approved in 2014. While Croatia’s policies have largely been reactive, instated to take the pressure off Dubrovnik, nearby countries are tackling the threat of overtourism proactively before it becomes an issue. For example, the national tourism plan of Croatia’s neighbor Slovenia focuses on geographically dispersing visitors across the country. To better distribute tourism flows and to develop tourism beyond major tourist destinations, Slovenia has created four macro-regions, three of which are wellness-oriented. The Thermal Pannonian is an area filled with healing waters. The Mediterranean and the Karst take in sea, lakes and caves. The northern Alpine region encompasses the mountains. The capital city of Ljubljana and its surroundings make up the fourth region. In dividing the country in this way, Slovenia is merely promoting assets that already exist. For example, the country is rich with thermal mineral springs. 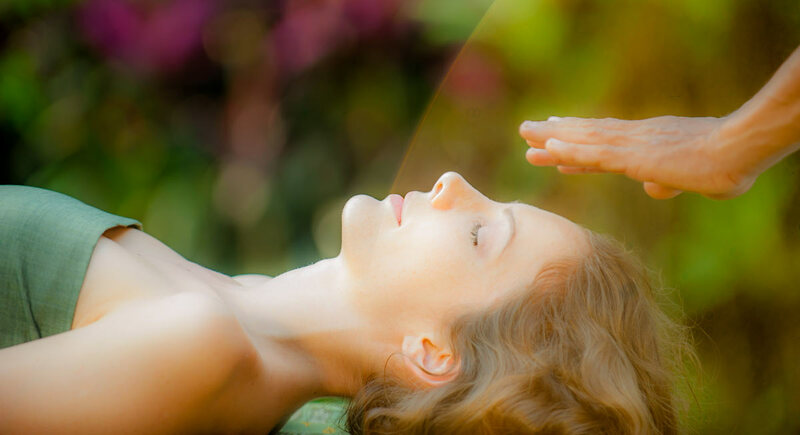 Today, natural spa resorts and wellness centers combine natural features, years of healing traditions, and contemporary medical approaches in wellbeing and health. The Slovenian Spas Association works with the government to showcase these key assets, which can drive tourism throughout the entire country. Other countries are also recognizing the potential of wellness tourism for economic development. Japan is now the third largest wellness tourism destination in Asia in terms of total visitors. Traditionally, most of those visitors have come from within Asia. However, recently, the tourism industry writ large has received substantial investments in preparation for the 2020 Tokyo Olympics. They are in part designed to broaden Japan’s international appeal and to distribute its tourism flows. The Japan National Tourism Organization (JNTO) has been developing new tourism routes with wellness features in order to coax travelers away from the congested Kyoto-Osaka-Tokyo corridor. For example, Japan’s Dragon Route (or “Shoryudo”) winds through the Chubu region, which includes historic and cultural sites, natural landscapes (including Mount Fuji), and plenty of hot springs. 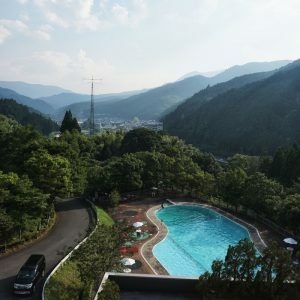 According to the JNTO’s New York office, the village of Misugi, located in Mie Prefecture, is commencing a wellness travel initiative utilizing existing assets. Promoted features include stargazing, forest bathing and a beer onsen. Meanwhile, high-end brands, including InterContinental, Hyatt and Marriott, are opening resorts in lesser-known (among international visitors) tourism destinations within the country. All are keen on capitalizing on the attraction of the traditional Japanese spa experience. For example, Beppu, on the southern island of Kyushu, is a renowned onsen retreat among the Japanese. The scenic area has more than 2,400 natural springs. With the 2019 opening of the ANA InterContinental Beppu Resort & Spa, the area is aiming to increase its international tourism numbers significantly. The Lake Biwa Marriott Hotel, located by Japan’s largest lake, is also designed as a wellness destination. The Park Hyatt Niseko Hanazono, slated to open in 2020 in one of Japan’s prime ski destinations, will also have a large wellness component. Each of the companies mentioned is approaching its urban strategy differently. Aman’s urban properties appear to operate more like standard hotels, albeit with large spas and other wellness components. According to Roland Fasel, COO of Aman, the city hotels are designed around the brand pillars of high-touch service, creating experiences that derive from the local DNA, a holistic wellness component, uncomplicated luxury and understated elegance, and generosity of space. The orienting ethos of it all, says Fasel, is the idea of welcoming people into a home, which applies whether a guest is in the middle of nowhere or smack dab in the core of the Big Apple. 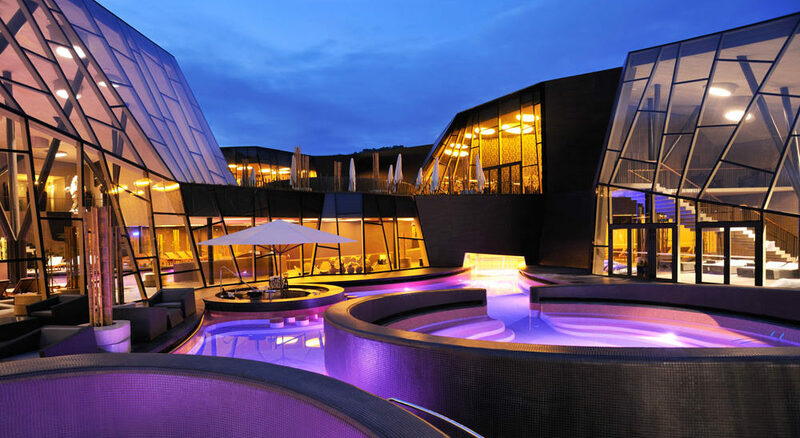 According to a press release, “One&Only Urban Resorts will challenge the conventional city hotel. In a buzzing and busy city, a place to escape the bright lights is always needed, a place to unwind; all urban resorts will offer beautifully designed green spaces to provide a serene sanctuary year-round.” Each urban resort will house a One&Only Gym, cycle and yoga studios, and a spa that is open around the clock. Six Senses’ city properties will offer creative wellness programming, including options for social wellness. According to Anna Bjurstam, vice president, spas and wellness at Six Senses, “For example, in Singapore, where space is more limited, it’s about designing an immersive experience throughout the hotel through the content we are creating.” In such properties, where space is tight, she says “wellness shows up in different ways.” For example, the Six Senses Duxton hosts a resident Chinese doctor, who provides complimentary consultations for guests. According to Six Senses CEO Neil Jacobs, Six Senses in Singapore will also be developing a restaurant menu with Chinese medicinal offerings. But Six Senses New York will be wellness on steroids (to mix metaphors). The most revolutionary aspect of the New York property will be its attention to social wellness. “We are aspiring to tackle one of biggest threats to wellness—loneliness—by introducing our first Six Senses Place, where hotel guests and members can be part of a community,” Bjurstam said. A dedicated member and guest-only space will include a bathhouse, a clinic, a shared work space, halls for wellness lectures and other events, and a restaurant. Members and guests will also have access to blood tests, biomarker testing and other scientific treatments. And of course, there will be a very large spa. Meantime, Fivelements is developing a standalone urban retreat in Hong Kong’s Causeway Bay. Yoga & Sacred Arts retreat is expected to open in 2019. The center will feature holistic practices aimed at fostering self-exploration, mental and physical health, and overall wellbeing. Designed to cater to urban wellness tribes, it will offer an array of yoga and dynamic sacred arts practices, plant-powered nutrition, and integrative wellness programs. There will also be plenty of bespoke therapies, including bodywork, intuitive healing, energy work and wellness coaching. In Hong Kong, Fivelements is developing a standalone urban wellness retreat, expected to open in 2019. As we have discussed, overtourism is rearing its ugly head throughout the world. But given the recent publicity surrounding the issue, governments, businesses and travelers are starting to take heed. In large part, wellness tourism can be part of the solution. At the 2018 Global Wellness Summit, Dr. Jean-Claude Baumgarten, the former president and CEO of the World Travel & Tourism Council, stated that wellness tourism could “be a solution to overtourism, by diversifying an established destination’s tourism product” and opening up new areas that travelers might not have previously considered. Resolving the problems involved with overtourism starts with a change of mindset for all stakeholders. Fortunately, the wellness community is, by nature, a mindful group. And where wellness and mindfulness are “dominant lifestyle values,” according to GWI senior research fellow Ophelia Yeung, changing behavior by encouraging ethical choices is possible. Governments are increasingly recognizing that quantity over quality is not a winning proposition when it comes to attracting tourists. Pristine destinations like Bhutan and Botswana have long limited tourism numbers, and now other countries are starting to protect their natural sites with the same strategy. Governments are also realizing that less-visited regions and contemplative landscapes can be competitive wellness assets. The 2018 Global Wellness Economy Monitor points out that wellness can move visitors out of a country’s over-visited regions to rural areas. For example, in Italy, South Tyrol and Emilia-Romagna are actively promoting their wellness features, which may, in part, help draw visitors away from the crowds of Venice, Florence and Cinque Terre. Another promising factor is that millennials and their younger Generation Z cohorts are always looking for the next big thing…often on Instagram. Social media is a way for unknown places with small budgets to gain traction, especially among “tribes” with very specific interests, including wellness travel. EuroMonitor International, Top 100 City Destinations Ranking: WTM London 2017 Edition. Rafat Ali, “Future of Travel and the Risks of Overtourism,” (presentation, Global Wellness Summit, Cesena, Italy, October 2018). Claudio Milano, Joseph M. Cheer and Marina Novelli, “Tackling the Problem of Overtourism,” The Business Times, August 11, 2018. McKinsey & Company and World Travel & Tourism Council, “Coping with Success: Managing Overcrowding in Tourism Destinations,” (December 2017). Catalogue of Investment Opportunities: Republic of Croatia, (2017).